Panagiotis GIONIS (born January 7, 1980) is a Greek defensive table tennis player (chopper) and a dentist. He is member of the Greek National Team and has competed in 3 Olympics and many World and European Championships. He has been playing professionally in Germany and France (Angers) since 2001. 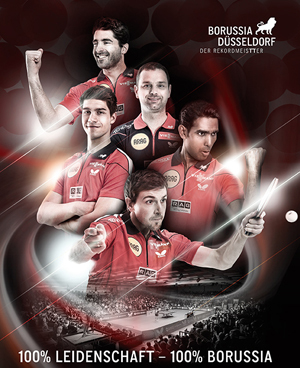 Currently he is playing for the German top club Borussia Düsseldorf together with Timo Boll, Patrick Franziska & Achanta and is being sponsored by Tamasu Butterfly. Gionis was third in the men's single 2013 European Championships and second with Greece in the team event. He is currently ranked 21st in the world and 7th in Europe. His best result was WR 20 in November 2014. Mid October 2014, in the University Table Tennis Team of the University where I work, I was playing against a very friendly Greek student, Dimitris, who was a fanatic table tennis player and who happened to be acquainted with Gionis. I told him about the forum and that we are all big fans of him and his playing style. I also told him about the interviews I held with Joo SaeHyuk (together with Birding&Tabletennis) and with Masato Shiono (with the support of Donic Japan), both in 2013. Dimitris said he could bring me into contact with Gionis. And indeed, to my surprise, two days later I received a facebook friends request from Gionis himself . We had a chat conversation where he kindly agreed to the do a written interview and then we exchanged our email addresses. The next step was the collecting of interesting questions from the OOAK members (viewtopic.php?f=2&t=26717). I received many good questions. I couldn’t ask all single questions (‘too much’ for Gionis), but as you can see, still most of them made it! For three questions (life outside table tennis, worst and best game, best memory), I could retrieve some information on Gionis' website so I included it to the interview. Gionis was very busy traveling between Asia, Dusseldorf and Greece but I got his response in the beginning of January. Since Gionis is a well-educated man, he had no problem doing everything in English. A week later, two days ago, I had another conversation with him on FB to clarify the things I didn't understand or where I needed some more information. Today you can read the result. I hope you like it. - Panagiotis Gionis for taking the time to answer all these question in detail although he had such a busy schedule. Also for being so nice in our communication. - Dimitris for introducing me to Gionis… Thanks buddy!! I was nine years old when I started playing table tennis. I wanted to play football like all the other children but my parents were afraid that I'd got injured so I went to a table tennis club that was very close to home. It was the Romanian coach from that club, George Kurou, who noticed I had better skills than my team-mates so he started training me. And he was a old defender. In less then one year, I made it to the national youth team. When I was in the National team, I could see the former Juniors European champion Daniel Tsiokas playing. He really was a big source of inspiration for me. He also gave me a lot of advice in my Juniors period before going to the seniors team. We always shared our room and had some great moments together. Indeed, I have always played the same equipment. Only before I played Butterfly Tackifire D instead of Tenergy. I am not a guy that likes many changes.. I am satisfied with my equipment and I trust it for 100%.. I think there are three reasons for me. First of all, I never practiced table tennis professionally until the age of 22 because of my studying to university as a dentist. Only after I finished my studies I started to practice more hours and two times a day. Secondly, I feel that defense is a totally different style of playing so you need to improve many things during practice and that means you need more time... And thirdly, pimples need a lot of feeling and I think that during the years you understand better the philosophy of pimples... Anyway I think that for defense you need more experience than offensive players. I really hope to continue a bit more... If my body is ok and I have no injuries I think I will go on for 4 to 5 years more. I play with Feing Long II since I was a young boy and this means I am most confident with this rubber and also i know the tricks can do . 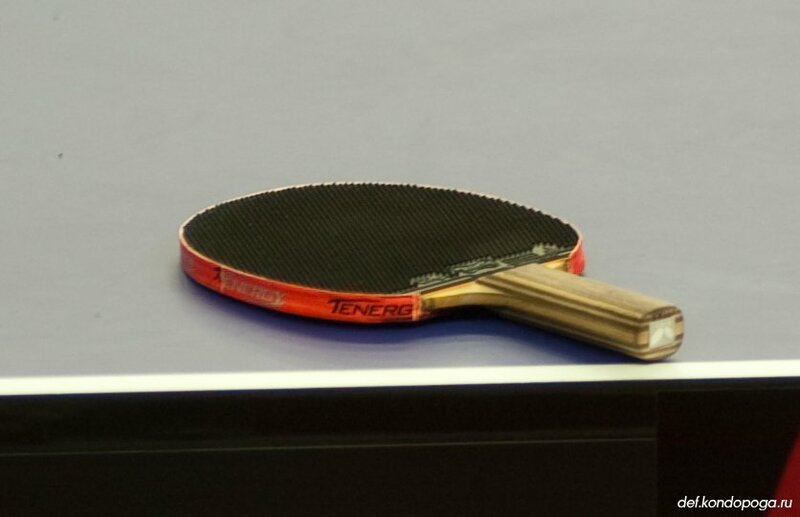 I think ITTF make many changes and very often those are not good for the sport... Anyway it is their decision and we have to accept..
My aim is to prepare for a good forehand far from the table so that the opponent will be suprised..
Because it is so very difficult, especially with long pimples.. There is no special strategy against defense... Just when I serve against defenders I'm trying to attack their ball and if I see I have problems then I'm playing more defensively..
Joo Se Hyuk is definitely the best defender in the world. He is the only one that was top 10 in the world for many years.. It was hard to leave Angers where I had five great years, but Borussia was a big step for my career because it is the best team in Europe. I was warmly welcomed there and I like the atmosphere a lot. It really is fantastic and gives me more power to continue and to fight for each win.. It is only the last 3 years that I am totally professional and I'm not working as a dentist.. I wish everybody in the forum a happy new year with health and happiness... My inspirational message to the defenders is that they need to be patience because it simply takes time to understand the philosophy of defense. Also, the biggest secret is not to expect to win the point only from defense but to try to find the right moment to surprise the opponent with attack..
Last edited by Pipsy on 22 Jan 2015, 22:22, edited 1 time in total. Thanks a lot! Great effort! I really enjoyed reading it. And those last words are truly inspiring . Good interview (Great youtube links too). I would like to thank you for all your effort in arranging for this interview of Gionis. This interview was great. It was such a pleasure to read, I enjoyed it immensely, and I learned a lot about Gionis too. Like so many members of the OOAK Forum, I have watched many videos of his matches. Now, I feel as if I know him a bit as a person, and not only as an amazing table tennis player. He sure gives a great impression. Also, I recently noticed that Gionis and Joo SaeHyuk were born just 13 days apart (Joo was born January 20, 1980) . Its neat that the two best defensive players in the world were almost born on the same day! Thanks for your kind words, Steven. It is indeed neat that both Gionis as Joo SaeHyuk, currently the best defenders in the world, are born in January 1980 . Interesting comment about sticking to the same pimple he's used for so long... he's confident with them and knows the tricks Makes a lot of sense I guess. His comments about the plastic balls confirms our suspicions as well...less spin and lower quality. He seems to just accept the ITTF decision though... perhaps this is normal for the elite players. And the comment about the ball... Says enough. I think this is a pitty... If the elite players really united to jointly raise their voice (or jointly take action) about such crucial decisions, ITTF would have no other choice than taking it into consideration. Where is ITTF when the elite players don't follow? So true. I think they have better things on their mind though, or perhaps they think it will make no difference. It's strange, though. They are already united: the Athletes Commission is designed to do this, isn't it? Yes, the 'institution' is there but apparently it's not a place where elite players (can) jointly raise their voice. Or, as Haggisv said, they don't take any effort because they think it won't make a difference anyway. Any idea who are the representatives in this commission?